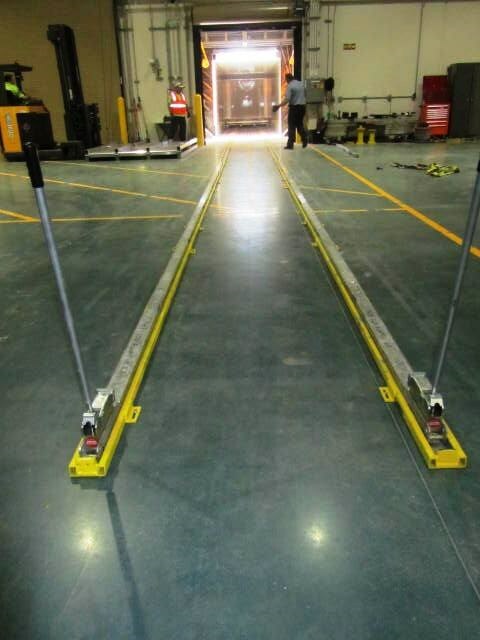 The world's leading truck loading system. 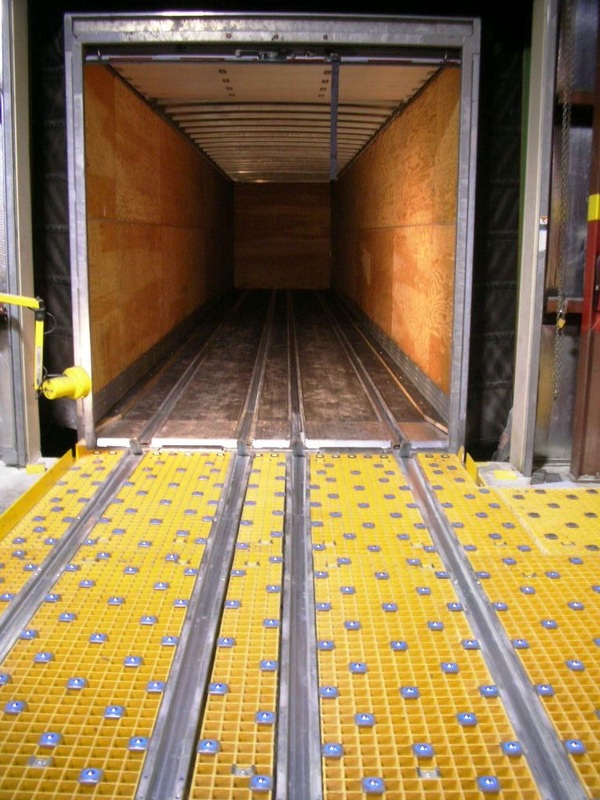 The skate & track system enables the user to load/unload pallets/slip sheets of news print rolls using manually elevated rolling skates that run in special sunken tracks in the floor of trailers. 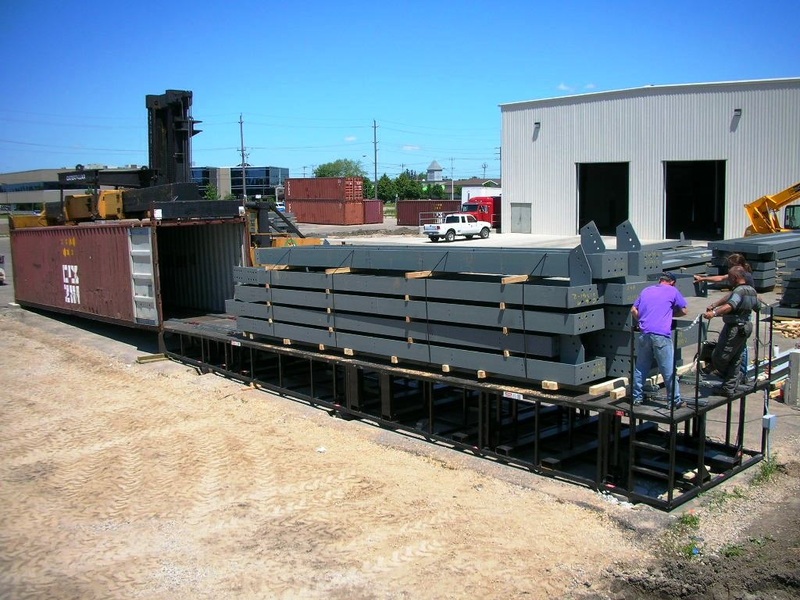 One operator can load a 3.5-ton palletized or unpalletized load. 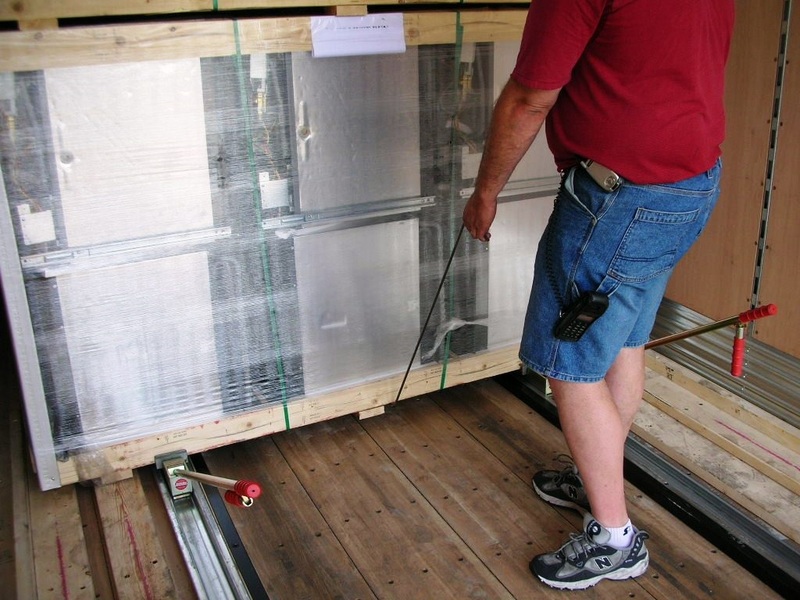 A 30-ton trailer can be loaded in 20 minutes by one man with no product damage. The load is 'live' for loading and 'dead' for transportation. » Manually elevated rolling skates running in special sunken tracks. » Maximum space utilization and no product damage. » 33% faster than conventional manual loading. » Manual and automatic brakes. » Handles pallets, slip sheets, news print rolls, drums, cartons, cans, containers, heavy and large machinery. » Used in closed freight and refrigerated trucks. Skate lengths from 600mm to 2000mm (24" to 72"). 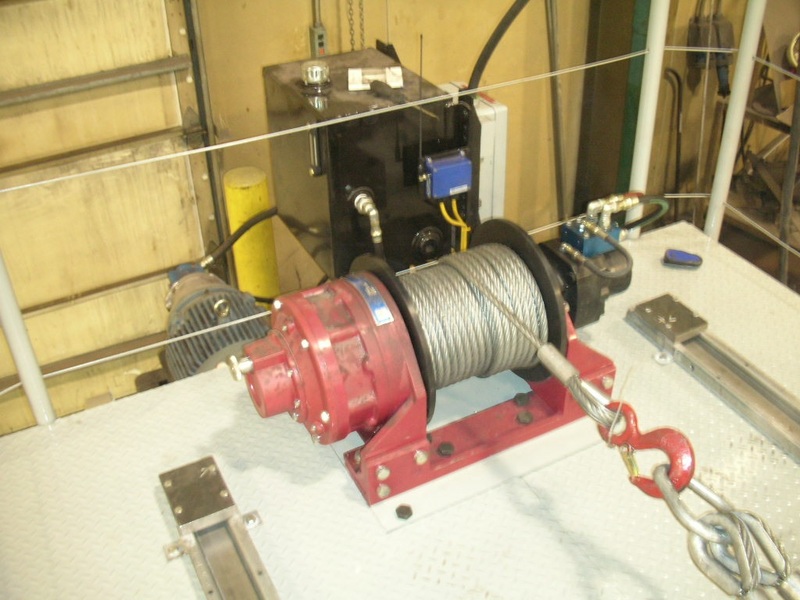 Tracking available in high yield galvatite steel, stainless steel and aluminum. 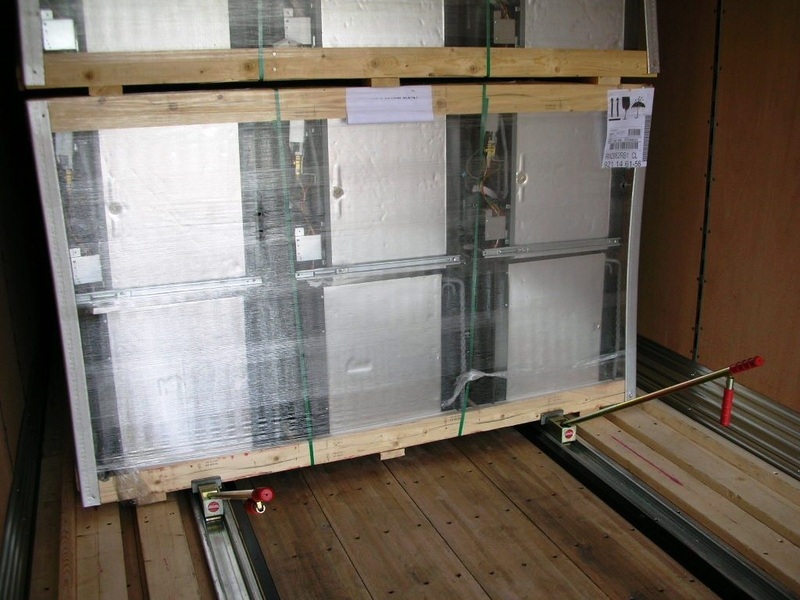 Skate lift capacity of 2, 2.5, 3.5 tons per pair.